Cali Girl is an indica-dominant strain with tremendously powerful effects. Consumers adore Cali Girl for having a high THC content, fantastic flavor profile, and classic heritage. Cali Girl is an ideal strain for an evening smoke session. 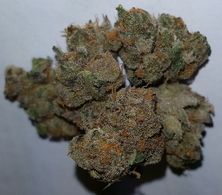 In particular, Cali Girl is excellent for watching a movie, relaxing after work, or getting ready for a big meal. Overall, this strain is top-notch and is a go-to for many cannabis lovers.